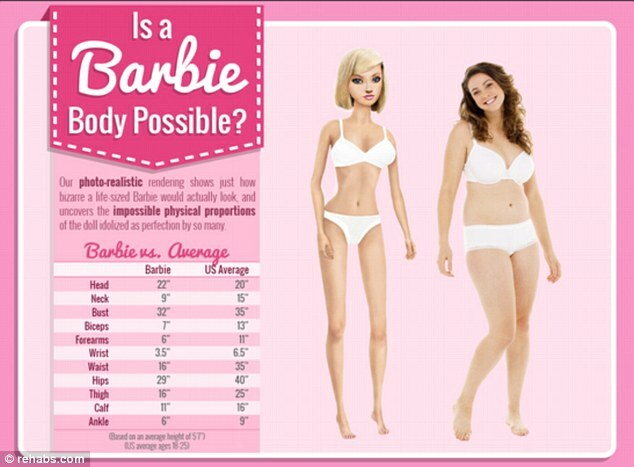 A friend recently sent me an article about a new version of Barbie, called “The ‘Normal’ Barbie Comes with Cellulite, Stretch Marks, Acne, and Tattoos”. Lammily, the doll, was created as an average looking doll, in opposition to Barbie who does not have dimensions that reflect any regular woman. Lammily’s proportions and size are modelled after an average 19 year old. Another aspect of Lammily that makes her more like the regular girl is that she has acne, tattoo, stretch marks, and freckle stickers that come with her. See Lammily at the website https://lammily.com/. Since being referred to the first article about Lammily, I have seen several other articles from various sources: 6ABCnews and SF Globe. On the Lammily website, you can find a video that shows young girls and their reactions after being given the Lammily doll. There are some amazing responses about how Lammily looks like a sister or a mom. And when comparing Lammily to Barbie, Lammily is much more realistic to the young girls. As I continued reading and researching information on this topic, I found another article discussing a children’s book about Barbie called “Barbie: I can be a Computer Engineer”. In this story, Barbie is attempting to code and create a computer game. The story line portrays Barbie as incompetent and unable to do even the most basic computer skills and as a result she needs to rely on Steve and Brian to help her. Reactions against this image of Barbie and women related to computer engineering include it being considered sexist and completely inappropriate. Mattel, the makers of Barbie, have since apologized and pulled the book from being sold. See Huffington Post and Tech Crunch and Casey Fiesler). My reaction: Really??? Are they seriously selling this story to support women?? Unbelieveable! And so. We hear so much about how the media is impacting young girls and women and their body image. Do we really want to look a certain way? Would our lives be better? Check out this video and the see the reactions that women have after they have had their pictures taken and photoshopped! This morning, I felt a little uncomfortable in the particular outfit that I was wearing. I was aware of the insecurity that I had about a certain way my body looked in this outfit. I thought about it and realized that even though one part of my body did not look the way I wanted it to, I did not need to try and hide it. Why do we do this to ourselves? We put the pressure on based on what we see around us. There is no need. We are probably the hardest on ourselves. My thought this morning was that I need to give myself a break. You can too. ← What’s the deal with negative people?